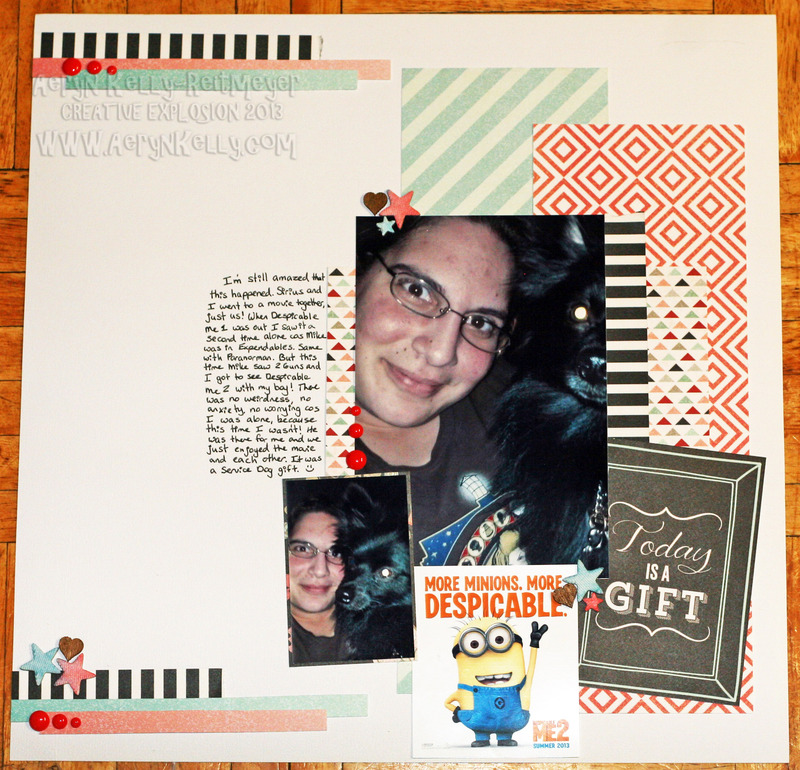 Another layout with my new papers and embellishments. I found the card in my papers, on the back of one of the papers I bought for the *front*, but the sentiment kind of worked. It really *is* a gift that I have Sirius and the freedom he provides me with. Suddenly I'm not watching a movie alone, I'm chilling with my buddy. This might have a bit too much pink on it for being a boy layout, but I don't really hear Sirius complaining and black *does* go with everything.